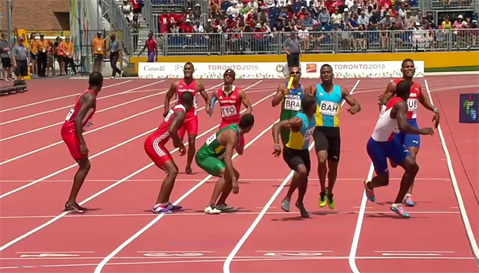 Toronto, Canada - Both the Bahamas women's and men's 4 x 400m relay teams have made it into the finals set for Saturday evening at the Pan Am Games. Results from today's women's 4 x 400m semi final 1/2 move Cuba, Bahamas and Barbados on to the finals. 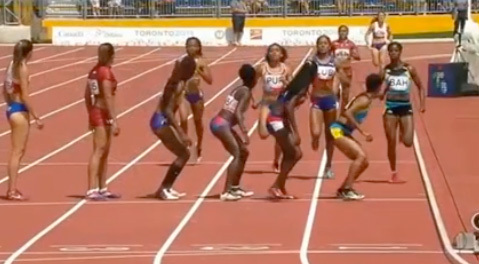 Bahamas women's team put in a strong start in their race and were the first to exchange, with a second place outcome. The women's 4 x 400 finals take place on July 25th at 21:45 hours. The Bahamas men's team kept a good lead in their race, but were strongly challenged by Cuba. Moving on to the finals from the 2/2 semis is Bahamas, Cuba, and Trinidad and Tobago. The men's 4 x 400 finals take place on July 25th at 22:10 hours.